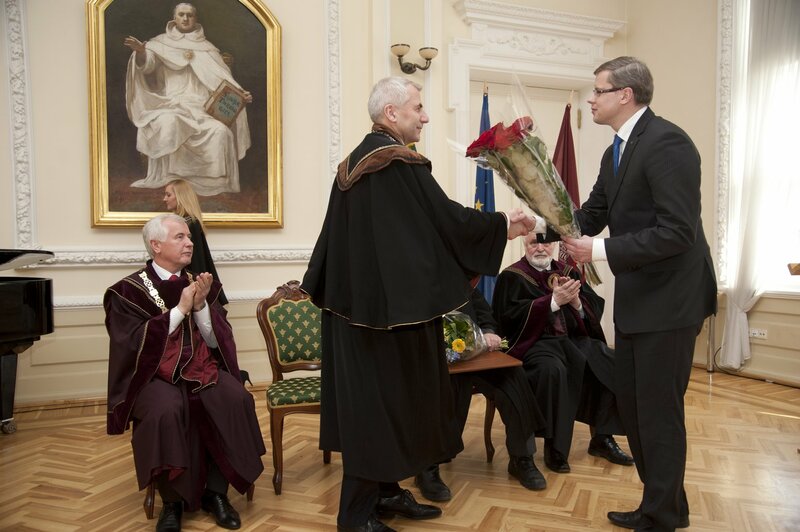 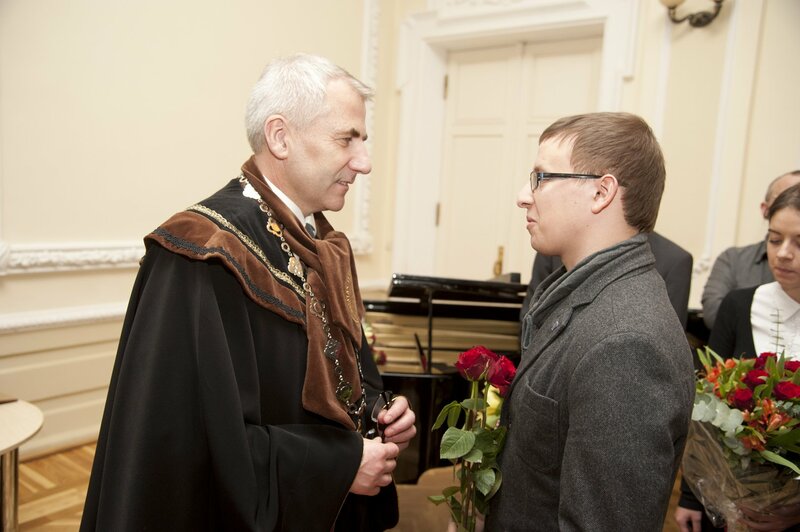 On Monday 10 March, VMU organized the award ceremony of VMU Honorary Doctorates for His Excellency the European Union’s Ambassador to Russia Vygaudas Ušackas and Professor Kazys Almenas. 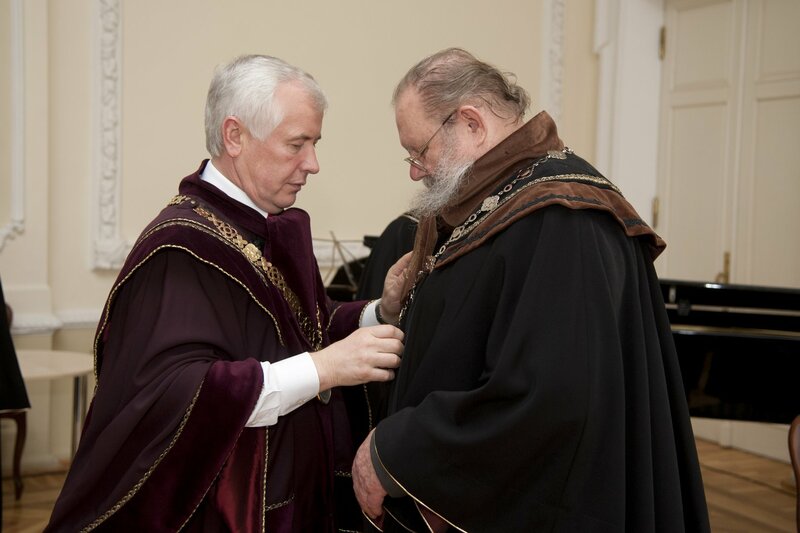 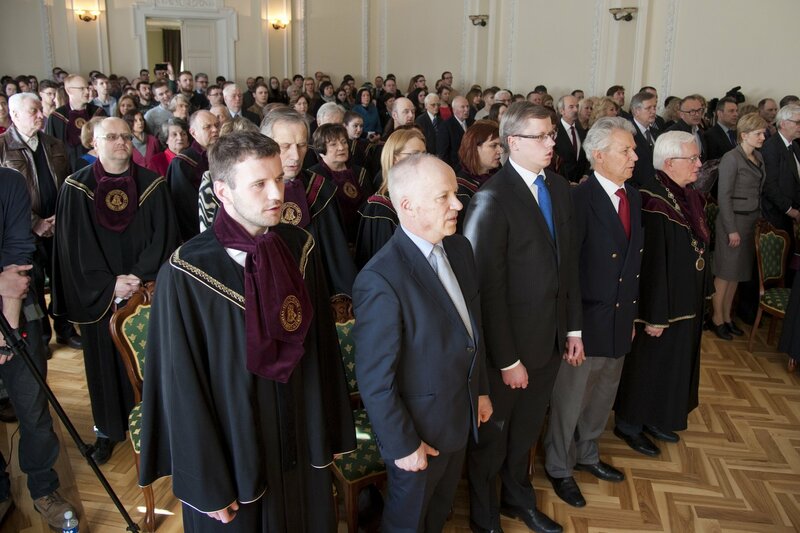 The ceremony was a part of the ongoing event series dedicated to the university’s 25th reestablishment anniversary. 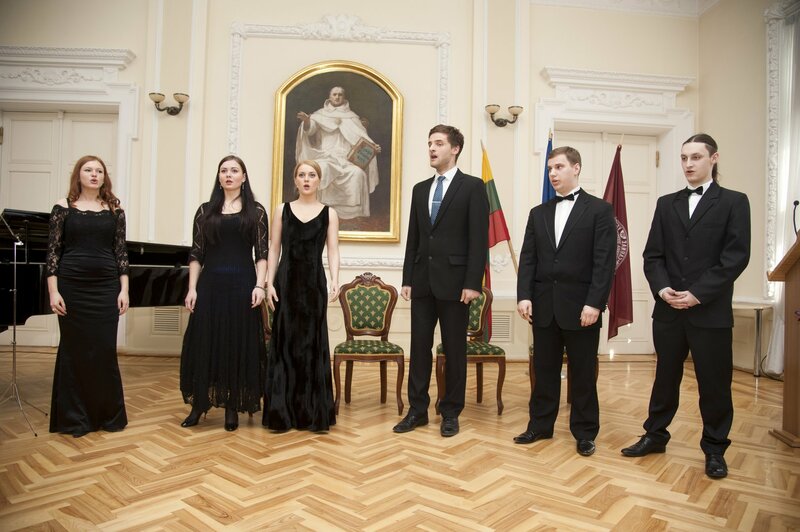 The festivities were also dedicated to the commemoration of the Day of the Restoration of Lithuania’s Independence, which falls on 11 March. 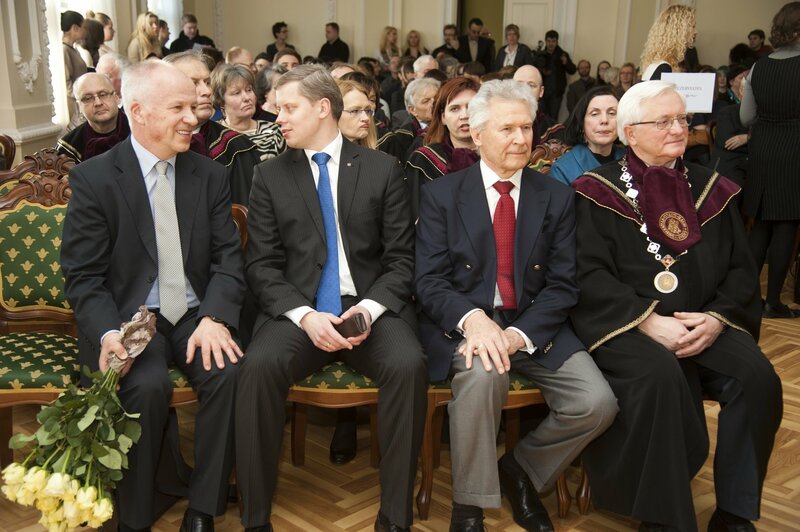 You are welcome to view the ceremony’s photo report by Jonas Petronis (j.petronis@vkt.vdu.lt). 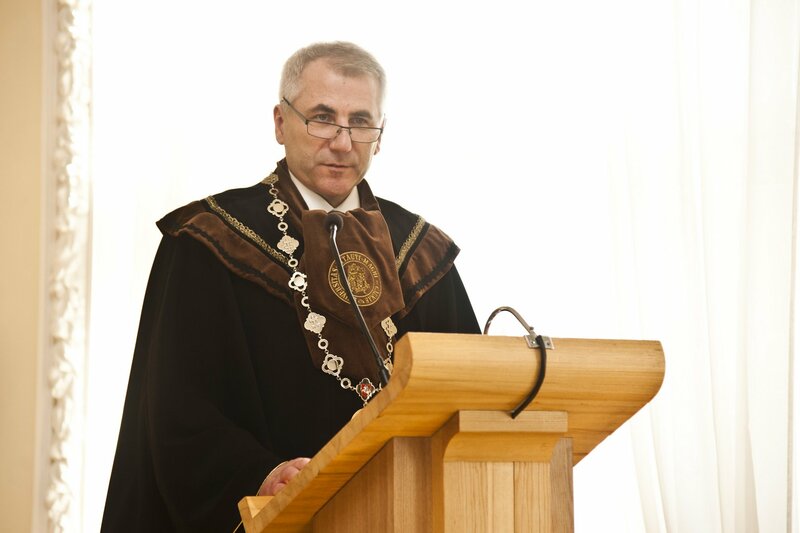 In his speech during the ceremony, His Excellency Vygaudas Ušackas devoted a lot of time to the crisis in Ukraine. 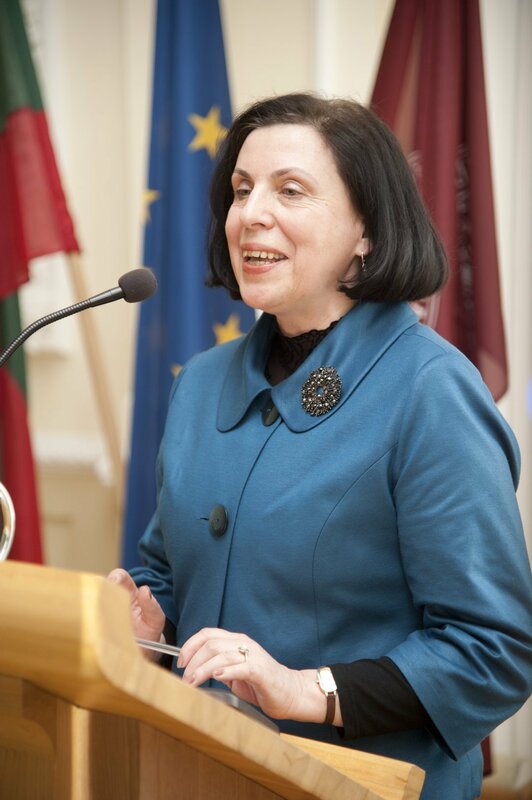 “The shift in the paradigm of security and politics which we have observed in Russia’s actions with regards to its direct neighbours has become the most serious security challenge for Europe. 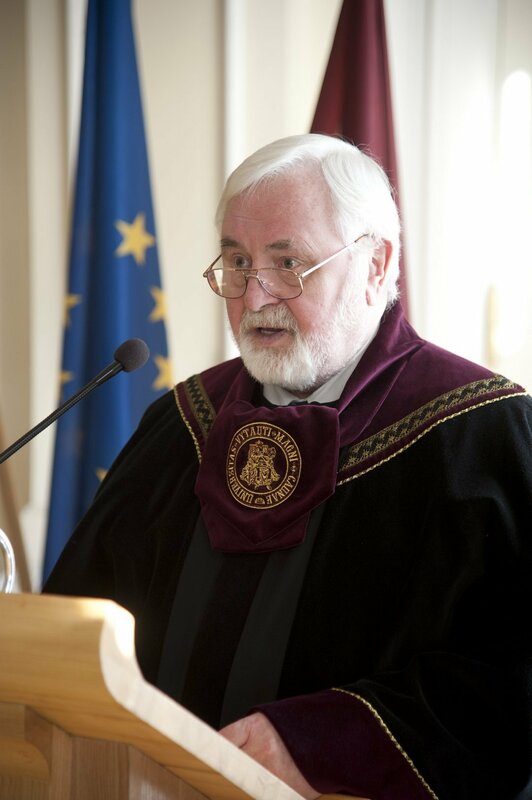 Further developments and concrete actions will have a significant influence on the EU-Russia relations: will we be partners in our convictions or only in necessity?”, the VMU Honorary Doctor said. 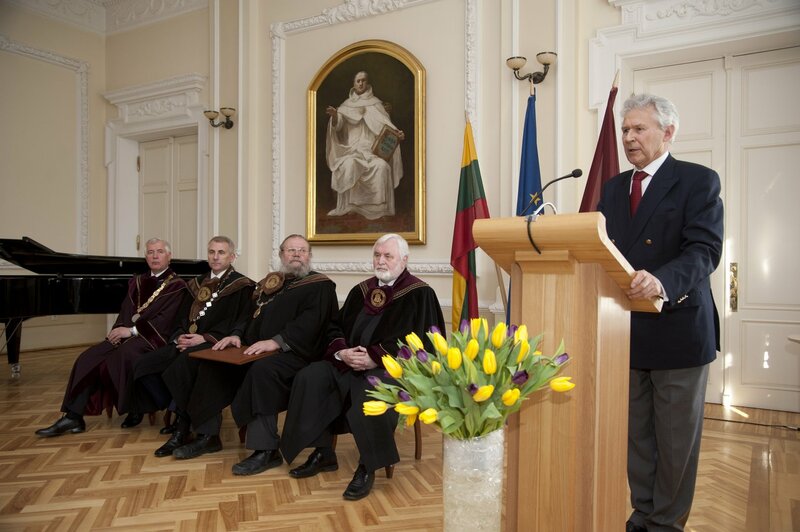 VMU Honorary Doctor Prof. Kazys Almenas, a distinguished nuclear engineering specialist, writer and publisher, former member of the VMU Reestablishment Senate, addressed the audience as well. 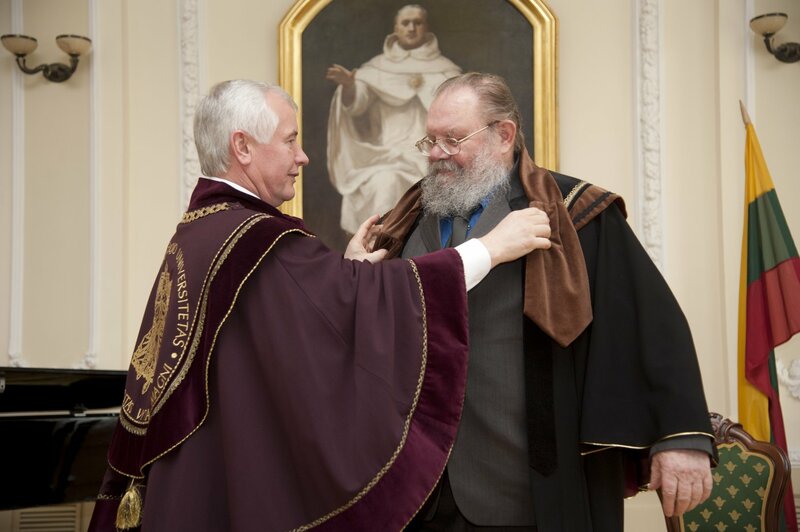 The professor remembered those early first steps before the university’s rebirth in 1989, when he was one of the contributors to VMU’s reestablishment. 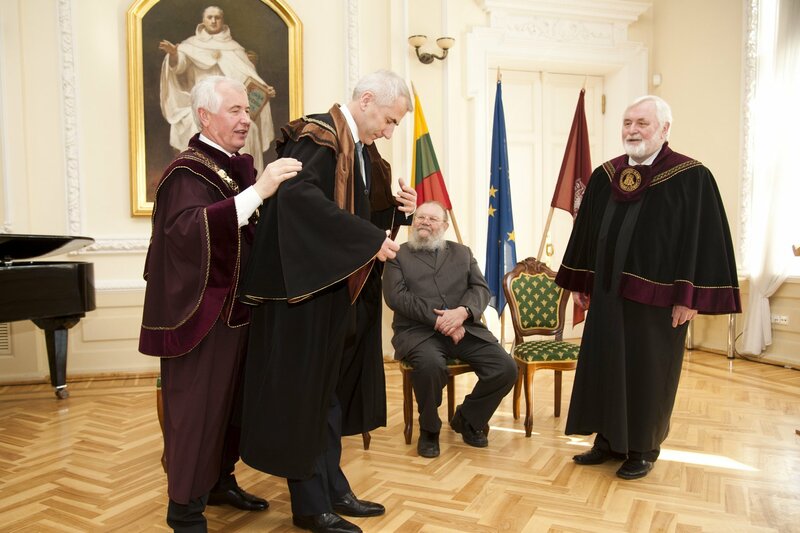 Prof. Almenas expressed his joy about the fact that in those uneasy times there was no shortage of people who were devoted to the idea of re-opening a university. 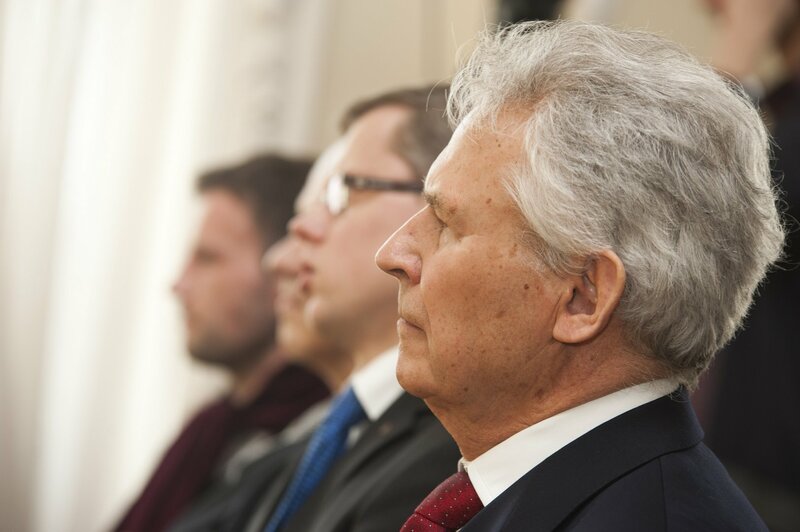 “Lecturers, researchers and, most importantly, young students need not only abstract ideals but also the inspiring example of particular personalities. 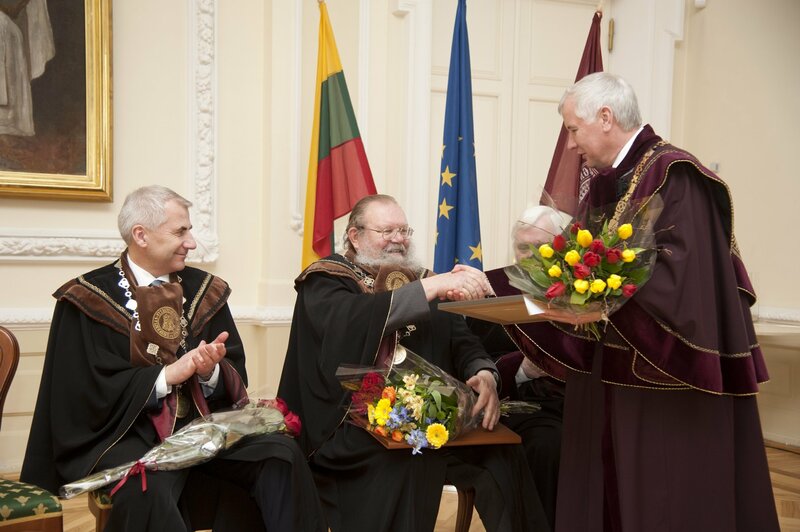 We deeply appreciate Prof. Kazys Almenas’ contribution to the reestablishment of our Alma Mater and applaud his achievements in nuclear energy, social activities and literary work. 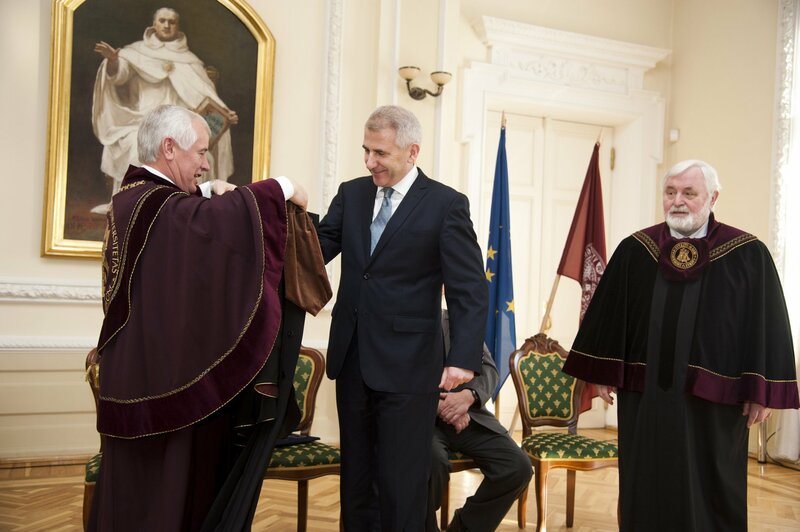 We are equally pleased to welcome Vygaudas Ušackas into our community as well: a diplomat whose accomplishments in international cooperation, peacekeeping and democracy support inspire us to pursue noble goals”, VMU Rector Prof. Zigmas Lydeka explained before the ceremony. 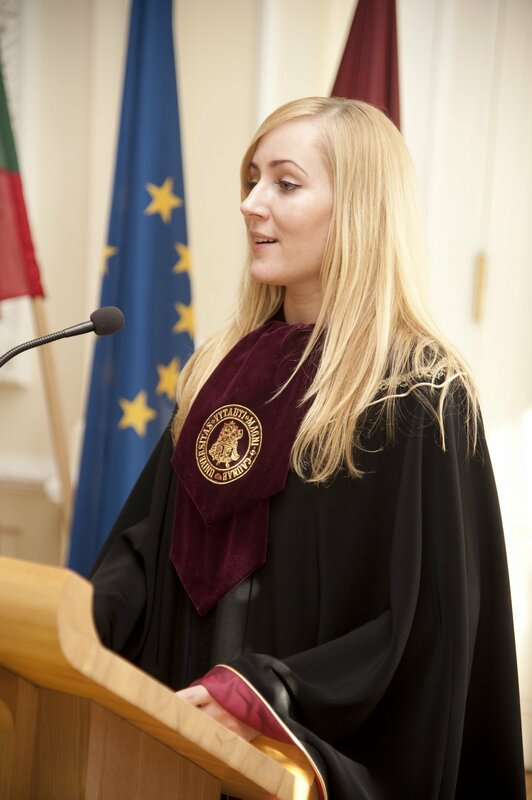 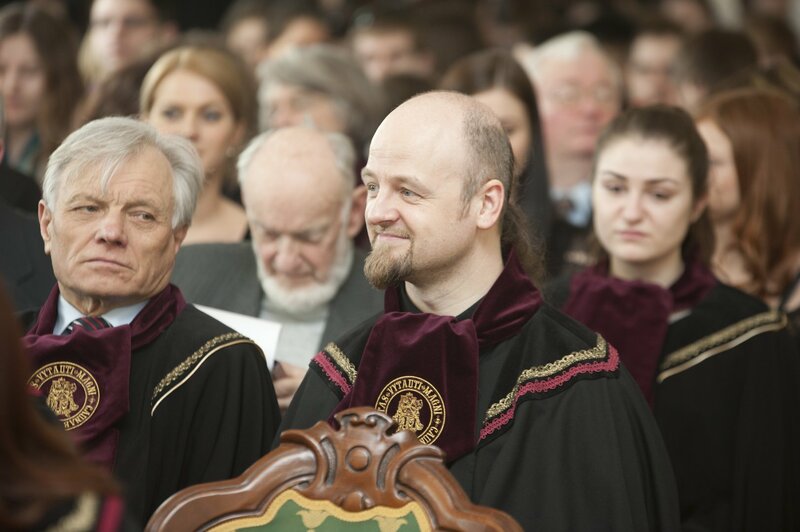 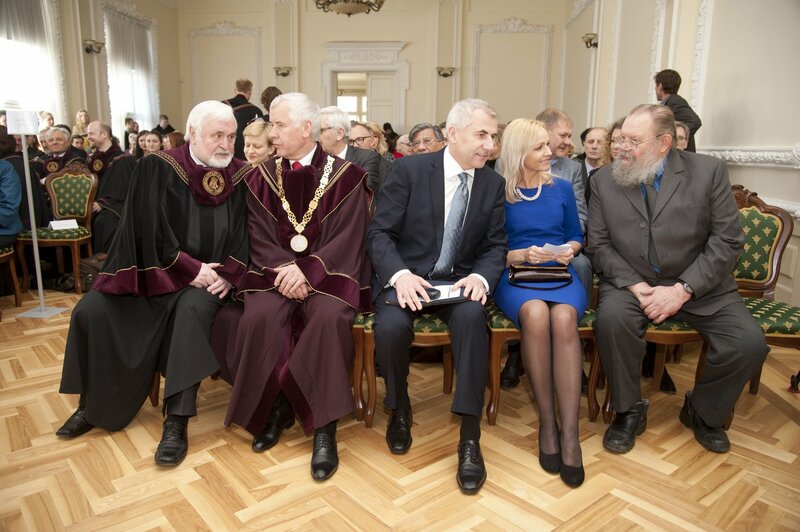 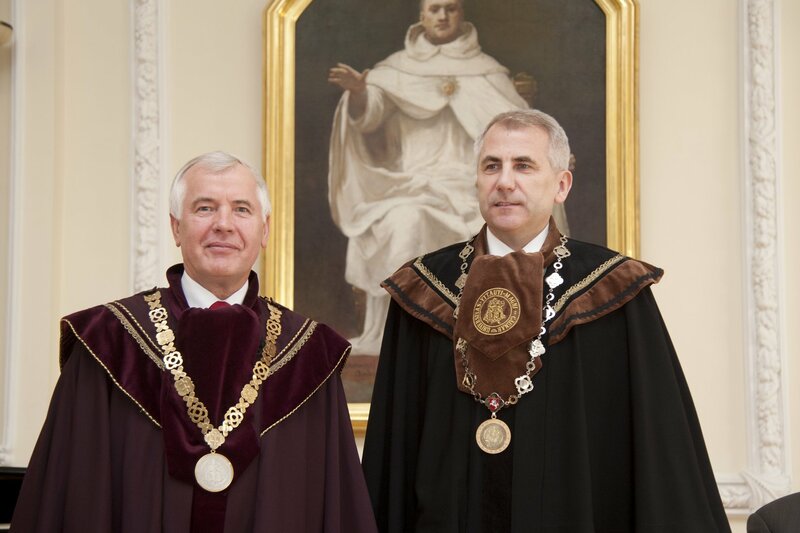 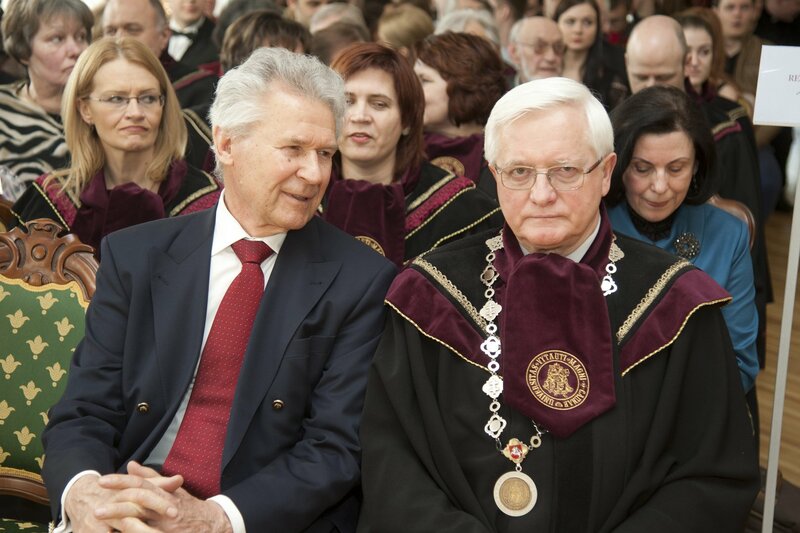 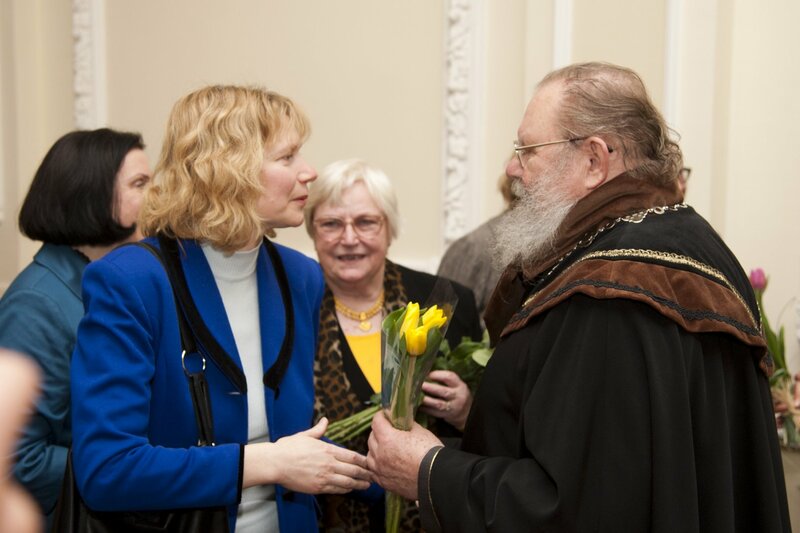 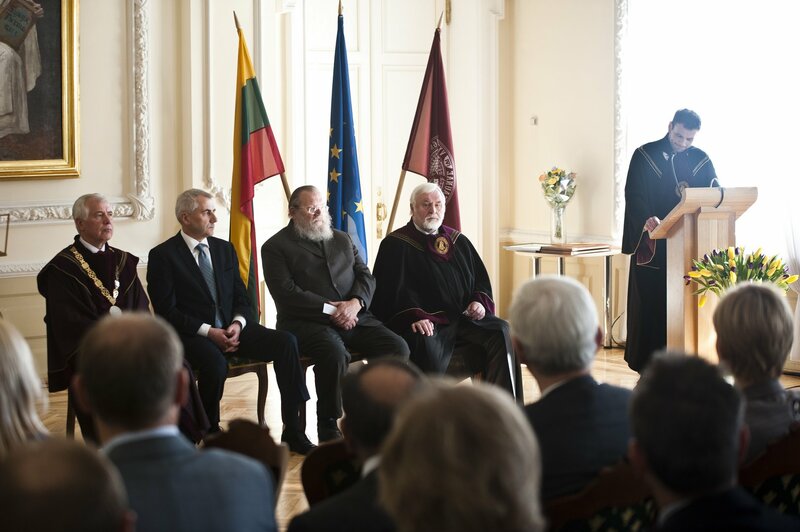 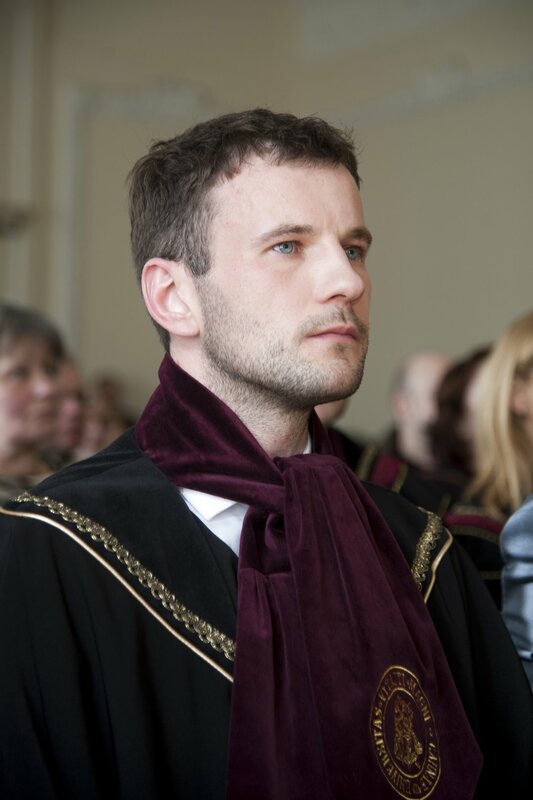 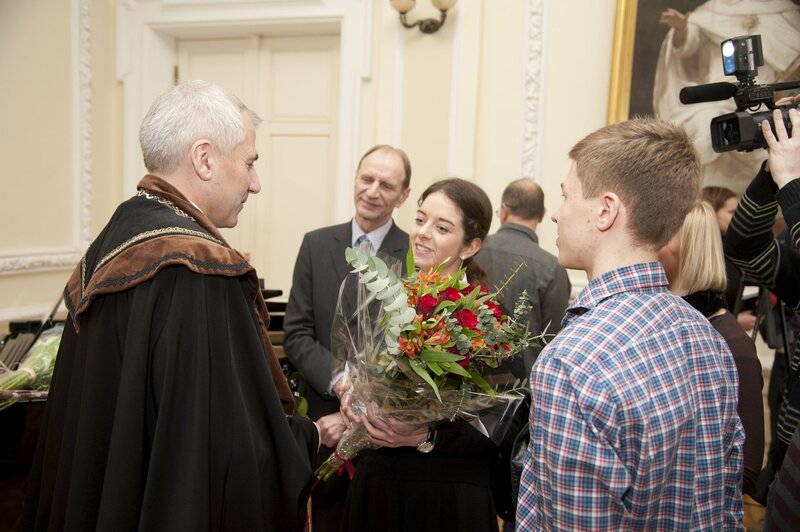 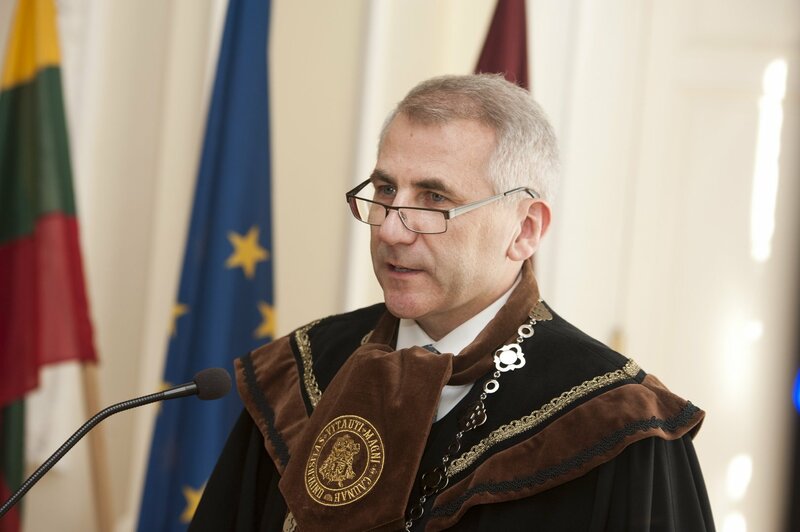 The VMU Honorary Doctorate award ceremony drew in a large crowd of esteemed guests from Lithuania and abroad, VMU community members and Kaunas residents. 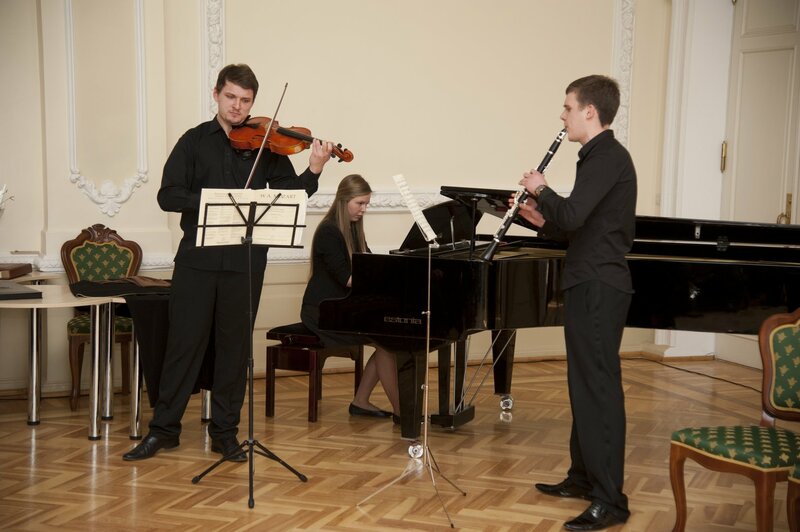 As usual, the audience was entertained by musical performances of VMU Music Academy’s students. 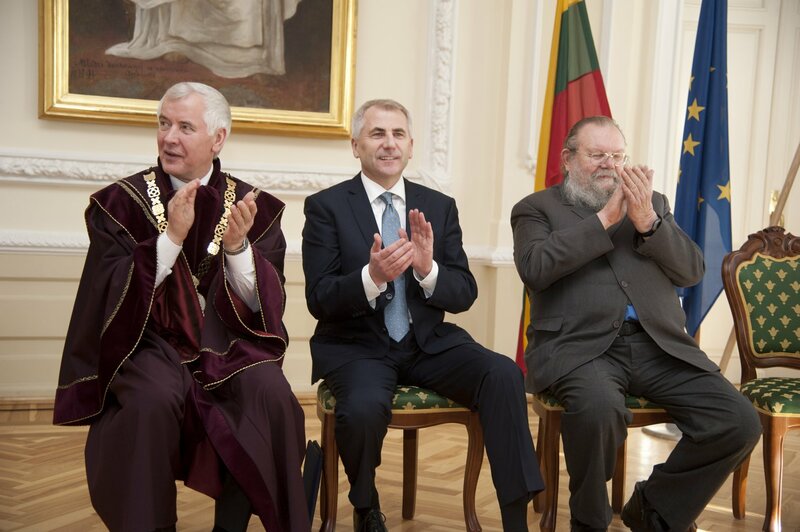 Lawyer, diplomat, political and public figure Vygaudas Ušackas has been representing Lithuania, the EU and NATO for many years. 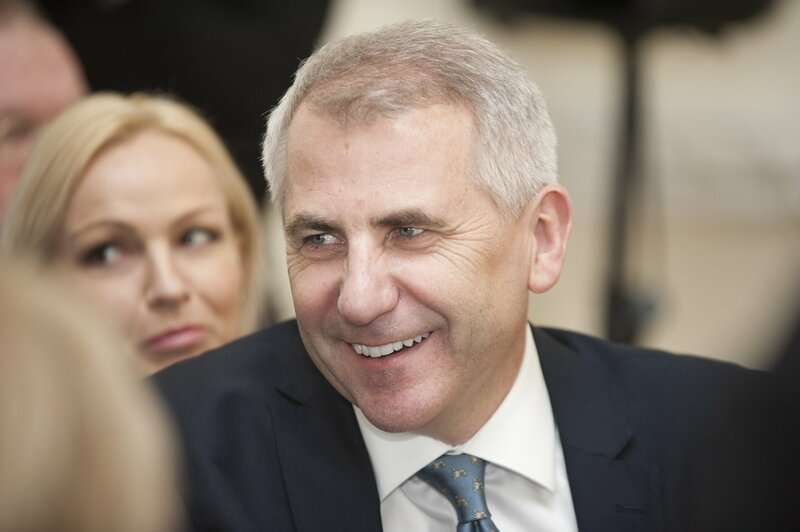 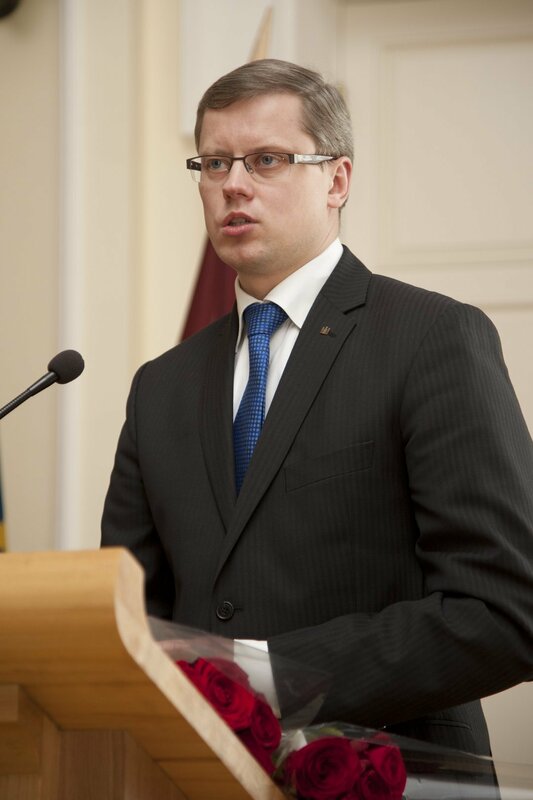 He has worked as the Minister of Foreign Affairs of Lithuania, Lithuania’s Ambassador Extraordinary and Plenipotentiary in the USA, Mexico and the UK. 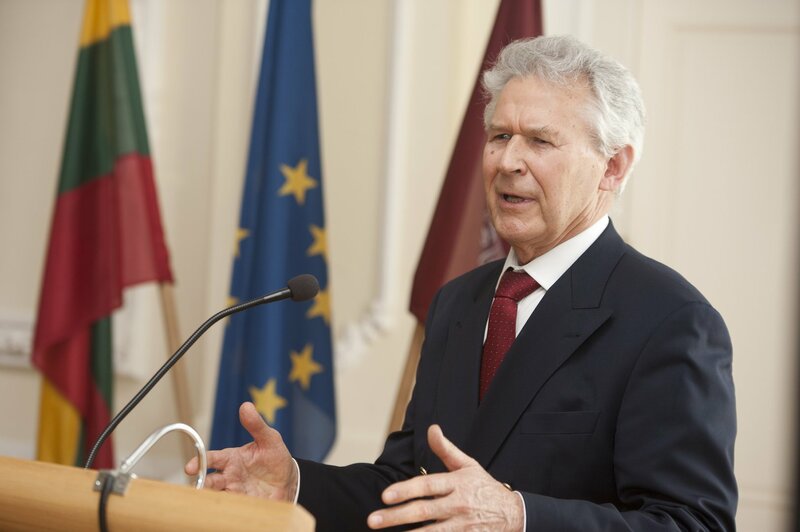 In 2010–2013 Ušackas was the EU’s special envoy for Afghanistan. 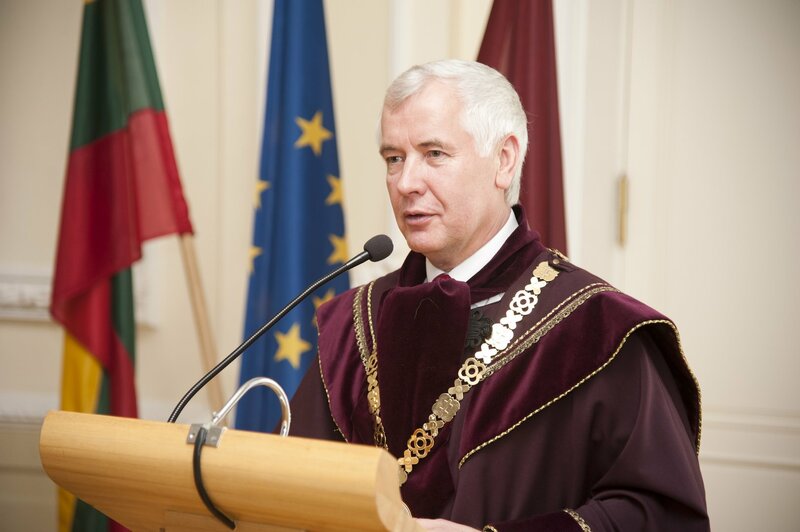 Since 2013 he has served as Ambassador, head of the EU Delegation to the Russian Federation. 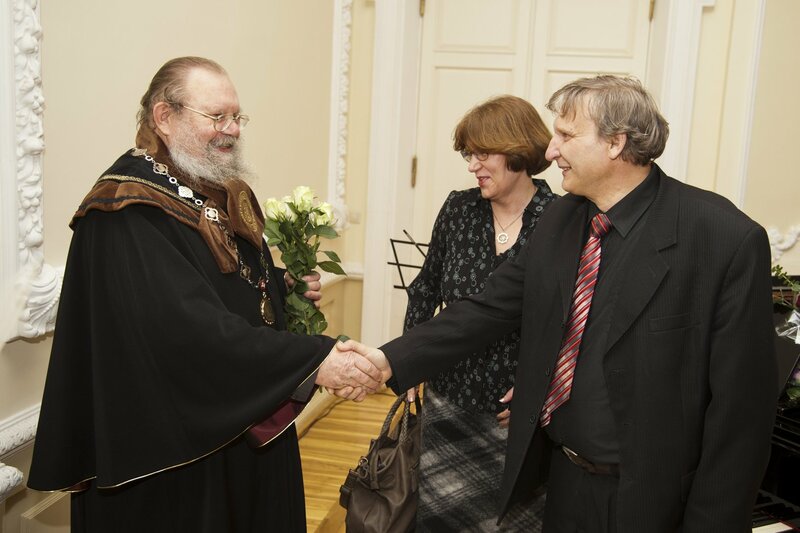 Prof. Kazys Almenas is a prominent expert of nuclear engineering, a writer, physicist, publisher and former member of the VMU Reestablishment Senate. 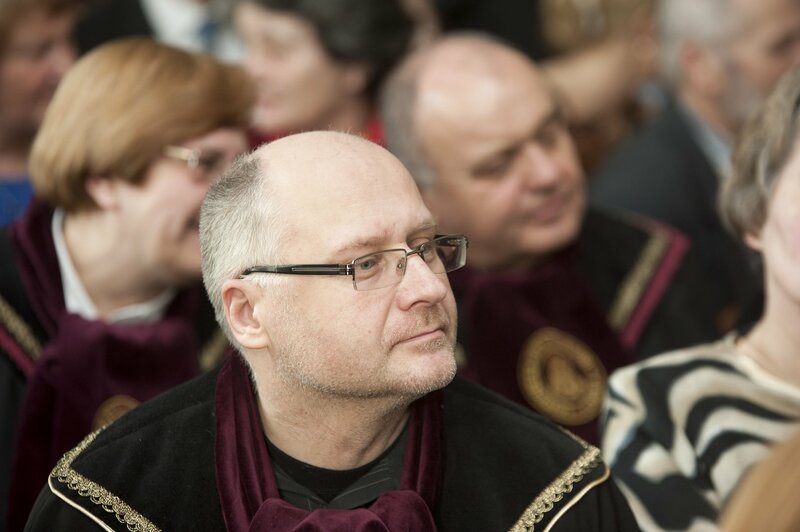 He is a member of the cultural-political Diaspora federation Santara-Šviesa, an active organizer and participant of diaspora events. 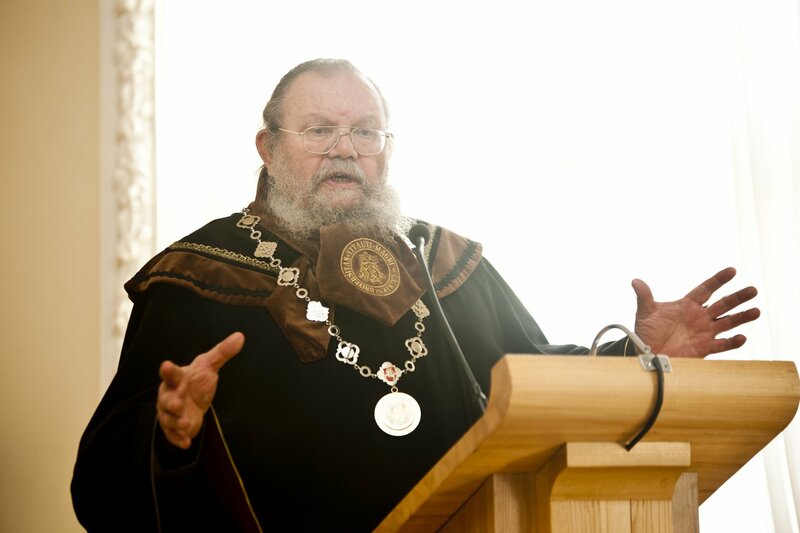 Prof. Almenas has taught at the University of Maryland and published a number of scientific works in the USA. 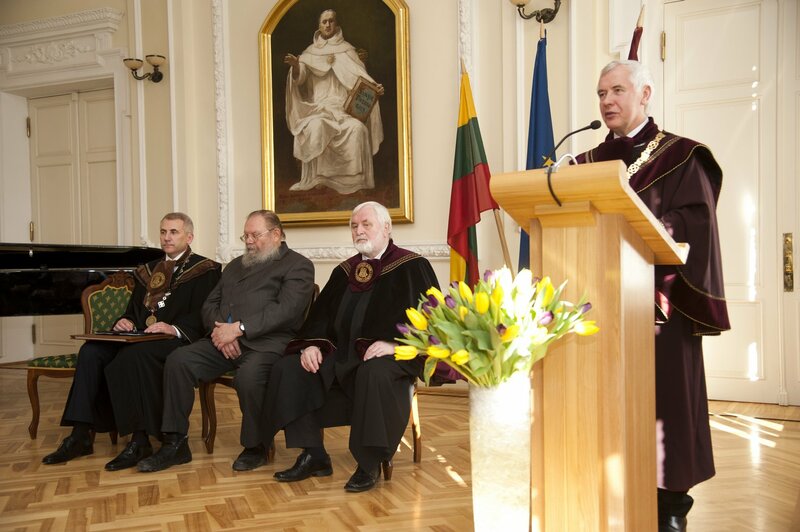 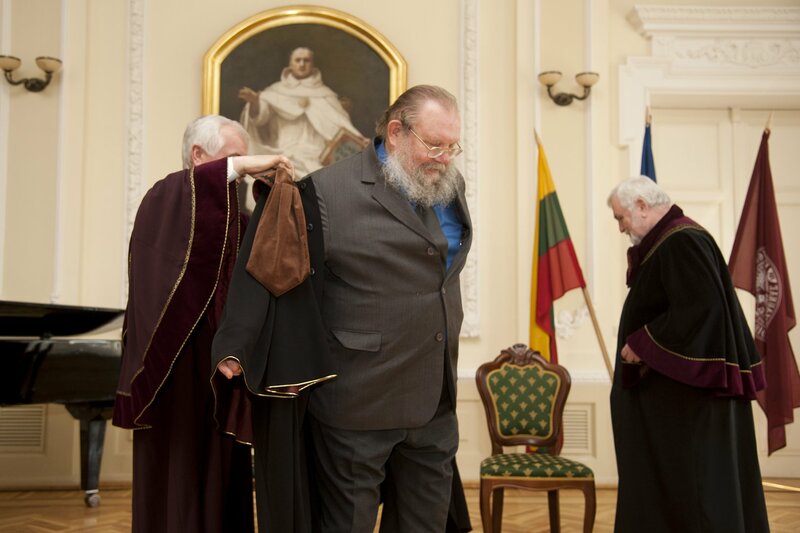 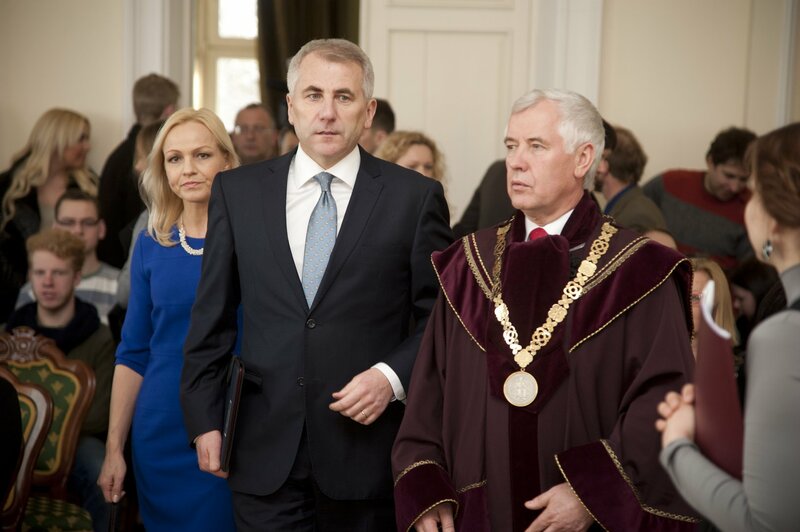 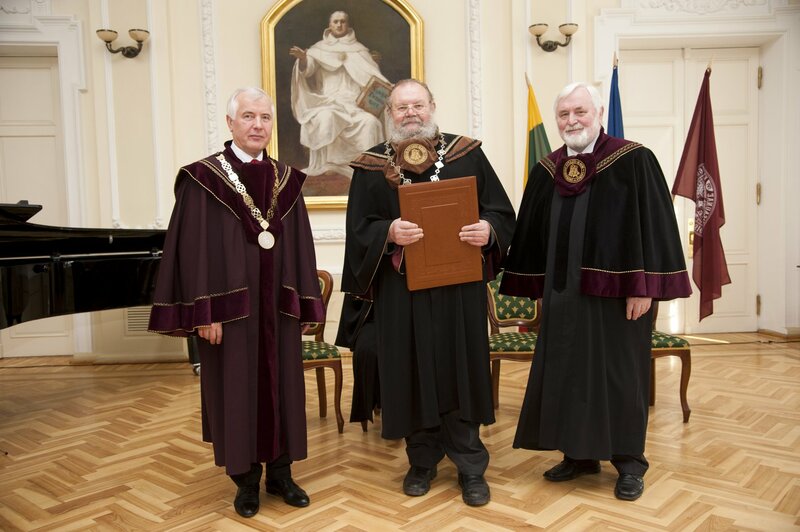 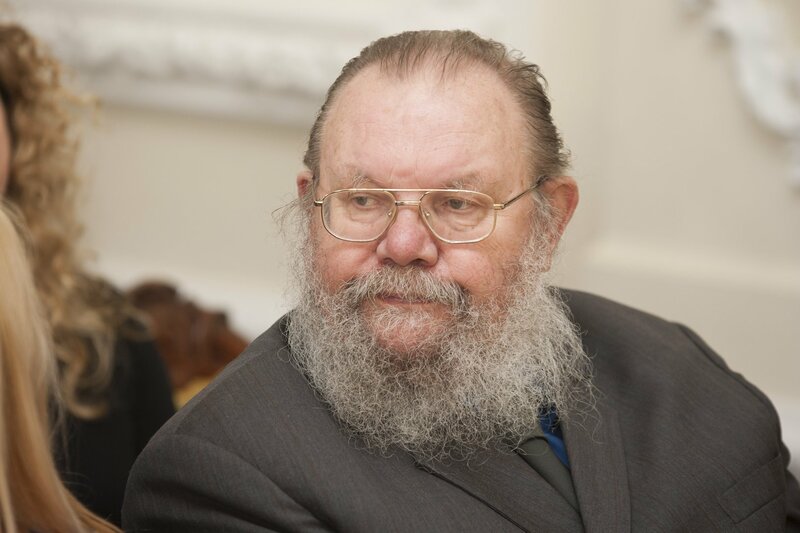 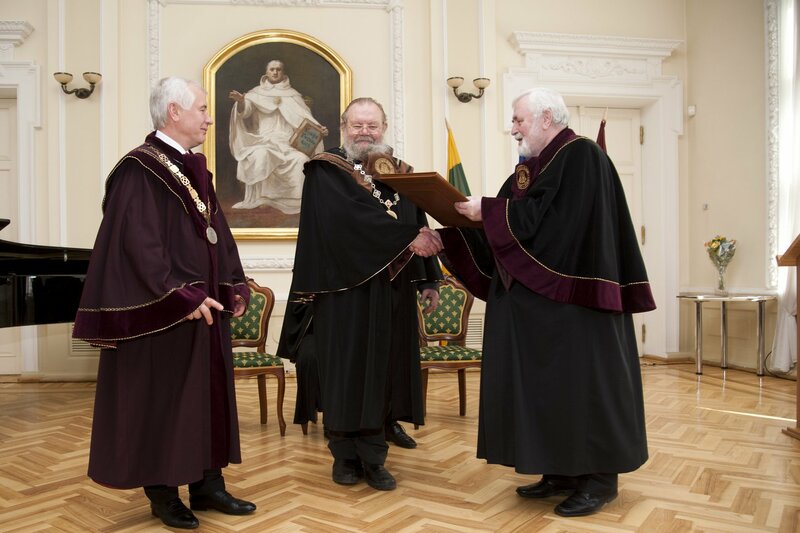 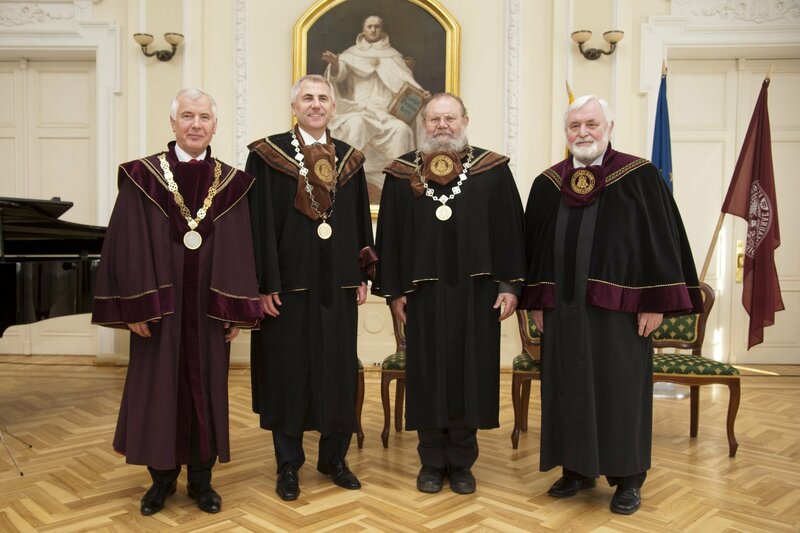 In Lithuania, he headed the Ignalina NPP scientific safety analysis group and was one of the founders of the Grand Dukes’ Palace Support Fund. 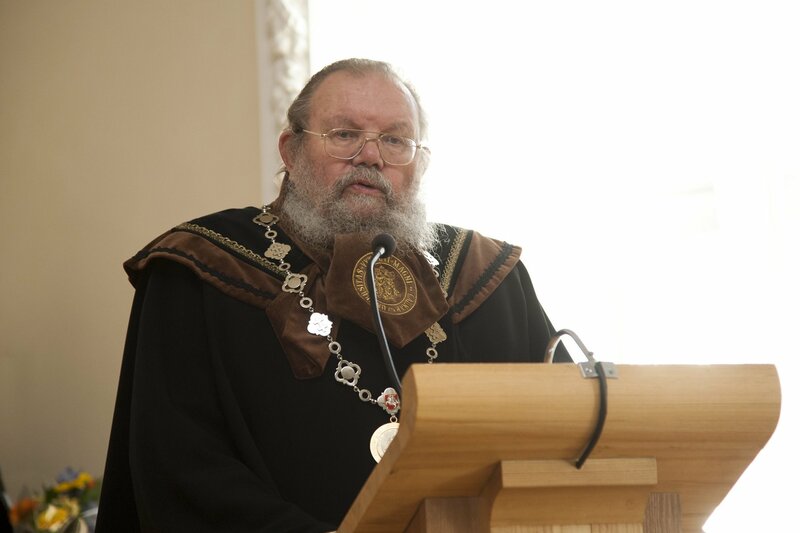 The professor also founded the publishing house Litterae Universitetatis and is the organizer and co-author of adventure book series Skomantas.